Bass, Saul. Saul Bass Poster Archive. 26 June 2014. Even if you haven’t heard of him, chances are you’ve seen his work. Opening credits for Alfred Hitchcock’s most notable films like Vertigo and North by Northwest, the AT&T globe logo, theater posters for Otto Preminger’s Anatomy of a Murder, the Girl Scouts of America logo, storyboards for the battle sequences in Spartacus—many of Saul Bass designs are still around today. Together with designers like Charles Eames and Paul Rand, Saul Bass’s designs have become definitive of post-war American culture. He has earned all of the honors and awards that a graphic designer could receive, including an Academy Award and an AIGA medal. Bass continually produced work that was used on a national level until his death in 1996. His success began with his graphic design work for American cinema during the 1950s. Rand, Paul. Westinghouse. Poster. Paul-Rand.com. Web. 26 June 2014. A young Saul Bass, armed only with a night class in painting, moved from New York City to Los Angeles in 1950 and opened his own business shortly thereafter. His design approach was cutting-edge and involved reducing his clients’ communications down to singular concepts. His work was so simple that it seemed almost childlike; but, the necessary forms were masterfully retained, leaving potent metaphors. Bass’s work was similar to Paul Rand’s work, a contemporary of Bass and a significant inspiration. Bass would later comment on his admiration for Rand’s talent. Saul’s first big break came from film director Otto Preminger who recognized his unique design approach. Their subsequent collaborations produced several memorable poster and title sequences such as Anatomy of a Murder starring James Stewart. Graphic materials, theater posters, titles and advertising were all unified by a graphic image of a broken up body. This created an experience never before offered to movie fans, bringing the movie experience out onto the street and into Mainstream culture. Bass, Saul. The Man with the Golden Arm. Movie Poster. Saul Bass Poster Archive. 26 June 2014. Bass’ single concept approach was applied to a string of films with Preminger, which created an opportunity to expand the movie experience beyond the limits of the first scene to the last scene by branding each film with Bass’s modern graphics. Posters and titles of Hollywood movies had previously been lamentably gaudy—predictable, stiff, generic–an opportunity for theater-goers to get popcorn or wrap up the conversation they began in the car ride over. Audiences now hushed to enjoy the clever opening graphic sequences which opened the films. Bass’ talent for designing compelling images using single rudimentary forms brought him to the forefront of the world of design in the 50s and 60s. After receiving wide acceptance for his poster and title design roles, Bass was asked to be “pictorial consultant” on a series of films. This was an unprecedented role in which Bass would develop key visual sequences for the director with the development of illustrated storyboards. Some popular films in which Bass assumed this role include Spartacus, Grand Prix and Alfred Hitchcock’s Psycho. 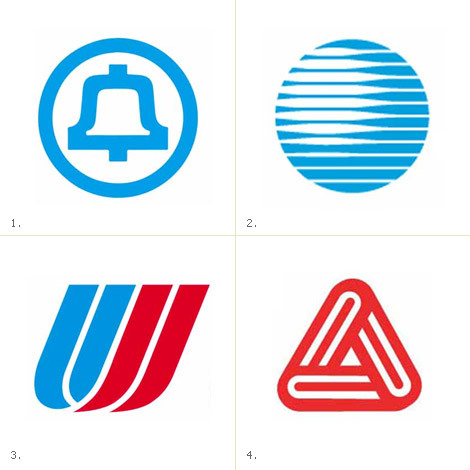 Saul Bass would later become an award-winning filmmaker and would design several corporate logos for multinational companies. Bass, Saul. Exodus. Movie Poster. Saul Bass Poster Archive. 26 June 2014. One of Bass’ many historical designs was the logo re-design of the Bell network (later to become AT&T) in 1969. Bass brought to the attention of his clients at Bell an awareness of the contemporary culture of the 1960s. With his simple design approach, he made the company’s messages more accessible to the public. Bass understood that the effect of the new logo would be marginalized unless the company’s entire visual presentation supported the new logo. He designed new graphics for trucks, uniforms, signs—everything that people associated with Bell on a visual level would now be working in harmony with the new logo. The new design was so successful that they called upon Bass again in 1983 when the network became AT&T. Go here to see the film Bass created to pitch the new logo to the corporation’s various personnel. Bass had an uncanny ability to create powerful images with the use of a few carefully selected forms. In the case of Exodus, Bass screened a photo of a flame over a crude outline of a group of arms reaching for a rifle, encapsulating the ephemeral emotions of times of great change with a simple series of shapes and colors. What makes Saul Bass’s work stand out from other modern designers of the postwar era was the seeming improvisational techniques he’d apply to the minimalist modern ideal. His techniques might have seemed crude—roughly cut letter forms, a few crude strokes of a brush, simple illustrations, a rough sketch—but, that would be all that Bass needed to convey his ideas. He rarely incorporated any photography into his designs. Bass’s title sequences have gone down in history as celebrated representations of popular American culture during the middle of the 20th century. Bass’s theater posters are equally iconic. For decades, he delivered unique work that defined both his own unique voice and the modern values of his culture. It is a widely accepted notion that Bass pioneered the conceptual approach towards animated title sequences used in nearly every movie today.